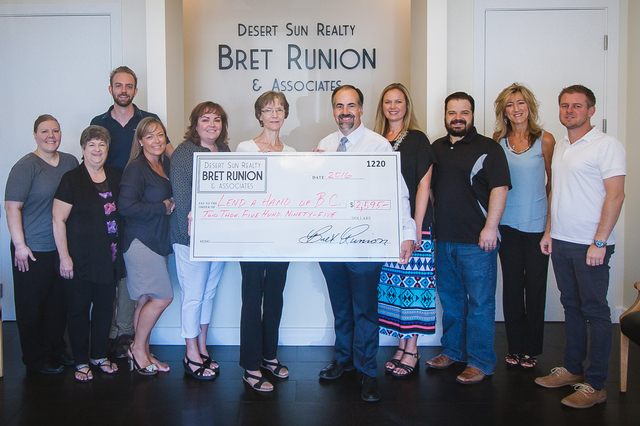 Employees at Desert Sun Realty recently donated $2,595 to Lend A Hand. Staff members agreed to make a monthly contribution to various community causes based on the number of closings each month. 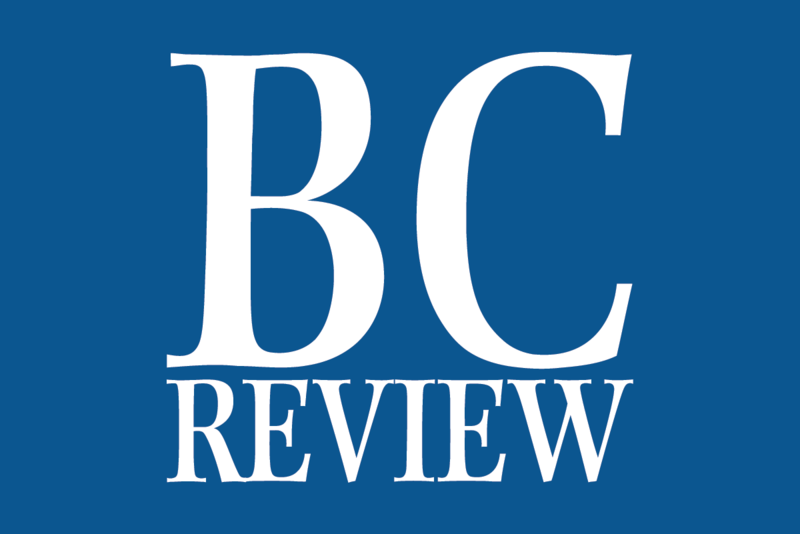 Last month, the company closed 25 transactions; the month before, $2,247.50 was donated to Emergency Aid of Boulder City after closing 22 transactions. Here, Lettie Zimmerman, sixth from left, accepts the donation from Bret Runion, to her right, owner of Desert Sun Realty, and his staff, from left, Katy Evilsizor, Cherry Aton, Dylan Kennelly, Mendy Wanigasekera, Shana Rudd, Lisa Morris, Nate Lasoff, Amber Bartholomew and John Calvert. Courtesy photo Employees at Desert Sun Realty recently donated $2,595 to Lend A Hand. Staff members agreed to make a monthly contribution to various community causes based on the number of closings each month. Last month, the company closed 25 transactions; the month before, $2,247.50 was donated to Emergency Aid of Boulder City after closing 22 transactions. Here, Lettie Zimmerman, sixth from left, accepts the donation from Bret Runion, to her right, owner of Desert Sun Realty, and his staff, from left, Katy Evilsizor, Cherry Aton, Dylan Kennelly, Mendy Wanigasekera, Shana Rudd, Lisa Morris, Nate Lasoff, Amber Bartholomew and John Calvert.